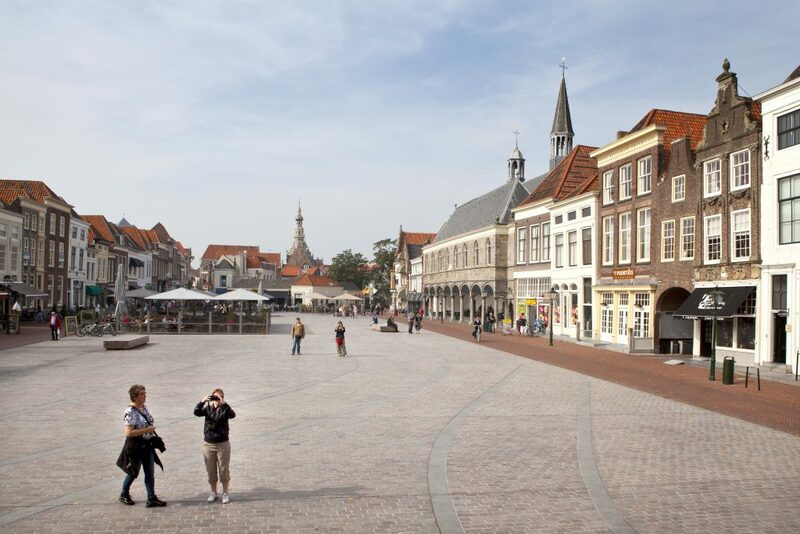 Zierikzee is a charming town with a rich nautical history that attracts many tourists. 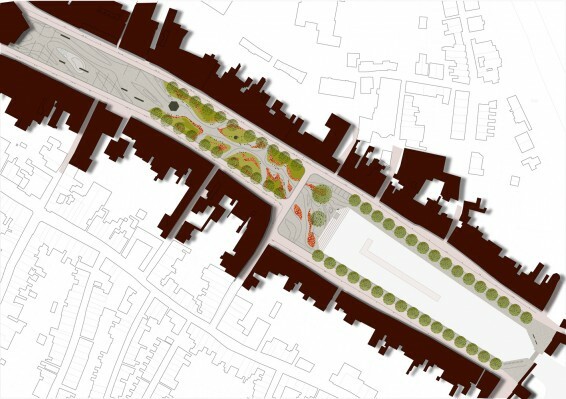 In order to increase the flow of tourists and draw greater amounts of visitors, Bureau B+B made a master plan for the public space and designed the renovation of the Harbor Square and the Harbor Park. The historical centre of Zierikzee is compact. It consists of a small city wall, a canal, and surrounding gates. In Bureau B+B’s master plan, the contrast between outside and inside the town is enhanced by designing the center as a coherent unity. The same mix of natural stone and brick pavement covers the inside central area. The street furniture has the same language and the regulations for advertising and terraces have been tightened. The fragmented landscape along the canal is transformed into a recognizable unit with the atmosphere of an old fortress. 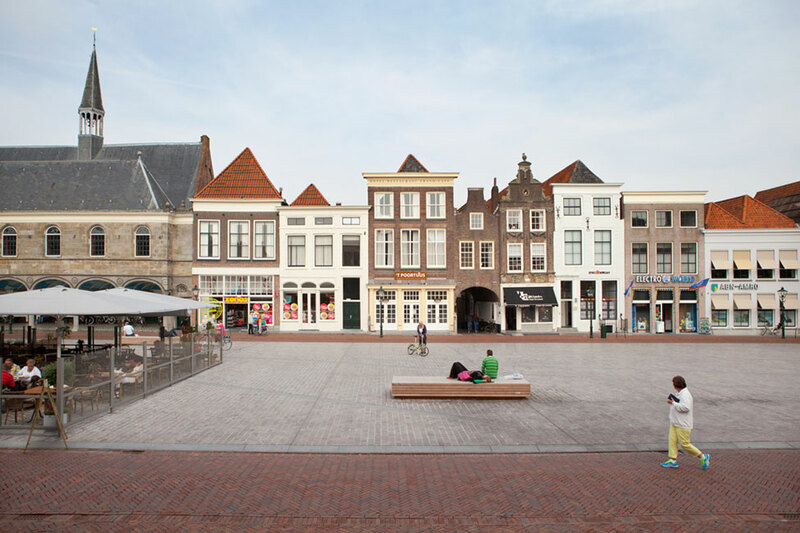 Inside the centre, four types of streets are defined: alleys, entrance streets, core streets and residential streets. A principal profile was designed for each allowing visitors to easily find their way. The routing between parking lots and the core area of the town was updated and is now easily accessible and clear. 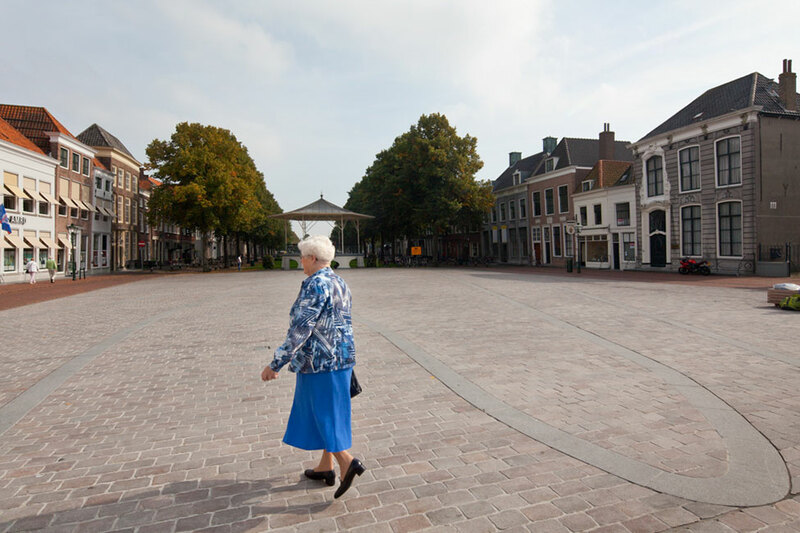 In the Old Harbor, the Oosterschelde estuary flows into Zierikzee. The shifting tides are clearly visible. Originally, the Harbor Square and the Harbor Park were also part of the Old Harbor. Today, they still form a spatial unity. 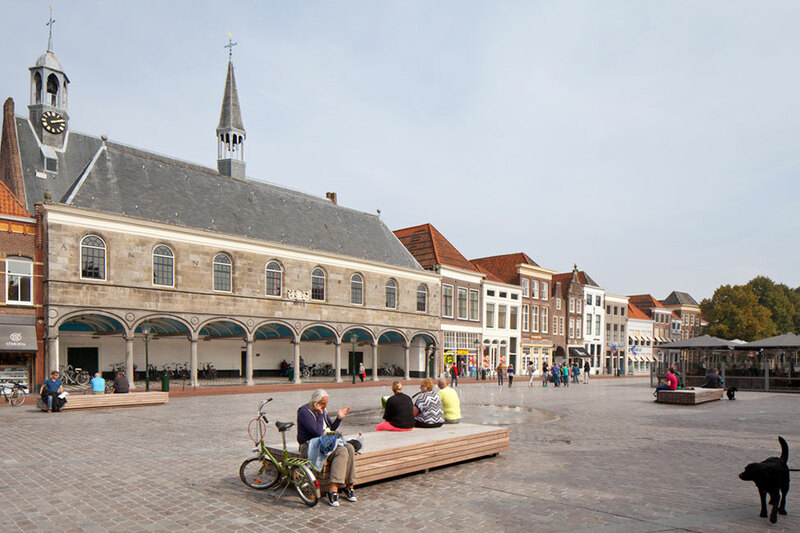 Bureau B+B’s design enhances this quality by creating a frame of brick pavement that connects the three distinctive spaces. 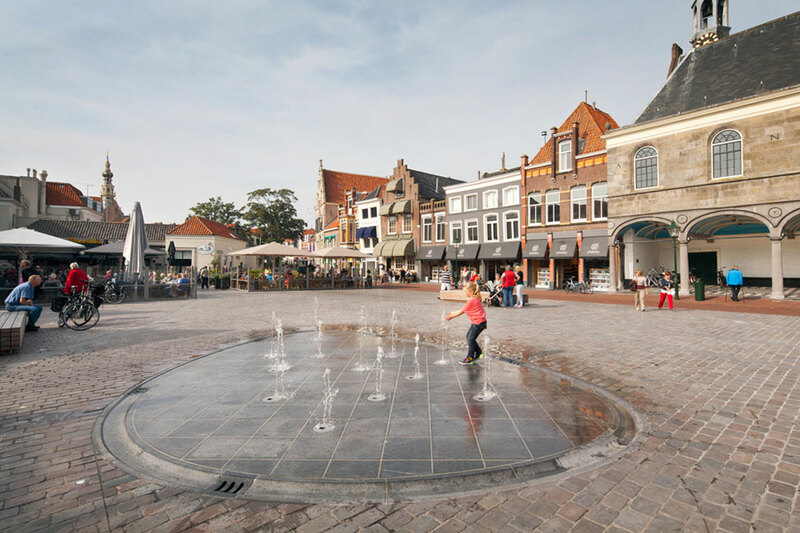 A pattern of flowing lines in the natural stone paving represent the channels in the Oosterschelde. Because the parking lot was moved from the Harbor Square, the open space can now be used for markets, terraces and events. Before the renovation, the Harbor Park was inaccessible. Due to a new path, people can now approach the water through the park. In addition to the new path, on the head of the Old Harbor, a boardwalk staircase leads to the water.